This is sponsored by billyray - introduction to follow. Please keep thread free for introduction and reviews. 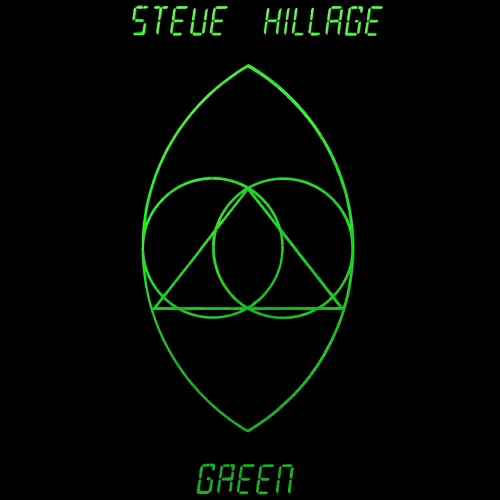 I discovered Steve Hillage when I was in my teens. The first album that I bought of his was Motivation Radio and then Fishes Rising. To my ear neither of these albums have aged well, although some argue differently. For me 'Green' was his best work. I wasn't aware of his previous involvement in Gong and others, or that he was a producer in his own right. I just loved his skill with a guitar and the 'out of this world' feel to both his music and lyrics. I think it is the lyrics which have aged some of his albums. Motivation Radio now sounds naive and somewhat childish in this regard. What stands out for me is Hillage's guitar and that wonderful interplay with the synth of Miquette Giraudy; his long term partner. There is considerable variety in the styles on the album, moving from Floyd to Level 42 within a single track!! Some of you aren't going to like this album, I know that, but for me it brings back memories of lying on my bed in the dark (when I should have been studying for A Levels) being transported to another world by music. My copy is one of the Green Vinyl limited edition versions and so doesn't have some of the additional tracks from the re-mastered version which came out on CD in 2007. Last edited by billyray on Sun Mar 01, 2015 3:18 pm, edited 1 time in total. Reviews seem to be a bit thin on the ground this month! A short review from me this month, I'm afraid. I have been listening to a CD quality version of this for the last couple of weeks using my Stream X.
I saw Steve Hillage in concert in the '70s. As I recall it, it was a double bill with Gong. It was a dreadful concert with, other than the occasional good guitar riff from Steve Hillage, there were no redeeming features. Understandably, I have not listened to him over the years. On first listen, I thought this was an interesting album, certainly it is well recorded. After a few plays I found that it was growing on me, and I will be exploring other Hillage albums over the coming weeks. So overall, I put this in the category of 'pleasant surprise'. I'll also be brief as I only picked up a copy on CD on Wednesday and haven't had time to listen to it in detail. I was aware of some of Steve Hillage's work as I had a couple of Gong albums in the 70's and also have a copy of L on vinyl somewhere but I hadn't listened to any of his more recent work. However, what I've heard so far is very good. As BillyRay says, the vocals are limited but the musicianship is of the highest quality. The recording is superb and the musicians sound like they enjoyed playing the tracks. My favourite track so far is Ether Ships, but I don't have a least favourite track as they all sound pretty good to me. This album will get played again over the next week or so and is a great recommendation. Thanks Andrew. I've played this album on Spotify Premium on my second system. A rock / prog rock album from the 1970s is something I would expect to like, but it left me cold. I've been busy both a work and socially and so I've had limited time to devote to repeated listening, but even when I had time I just didn't fancy going through it again. I found it quite uninspiring and boring. I'm sorry I have so little to say, but it has failed to inspire any further comments.